A local charity sees this rising epidemic of inactivity and does its’ part to increase awareness through events, camps, and playground restorations. In a recent study, Recreation Restoration Foundation of Orange County, California determined that more kids than ever are staying indoors rather than getting outside to play. 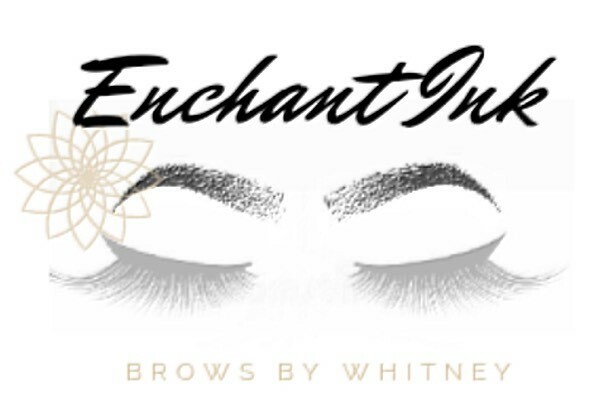 This non-profit organization, based out of Laguna Niguel, is doing something about it though. They aim to improve the lives of residents in Southern California communities by restoring run down playgrounds. They also have the GOPLAY SPONSORSHIP program that funds fees for camps, supplies, and recreational programs for children that have financial challenges and need a little extra help to fulfill their basic need to get out and go play. 1 in 4 children go out to play at least an hour a day….. This was a shocking statistic that inspired Chris Bowman, founder of the Recreation Restoration Foundation, to create this non-profit organization. Bowman says, “I grew up poor back East and saw that many parks and playgrounds were rundown and not being restored. I witnessed them turning into hangouts for gangs. Coupled with the increasing trend with children to stay inside and play with digital devices and spend hours watching television, we want to curtail this before it becomes an epidemic here as well.” Our state government continues to cut funding to recreational programs. We feel this is just the beginning of sweeping neglect to recreation that we face moving into the future. We would like to avoid the urban decay that has and is occurring across this country. 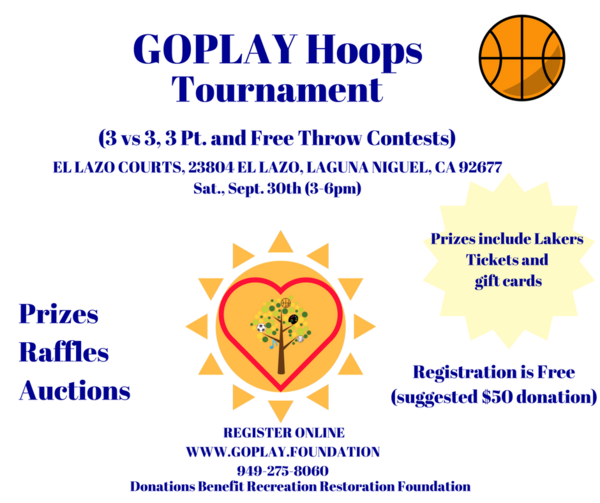 The Recreation Restoration Foundation is hosting a free basketball tournament to bring awareness to the GOPLAY SPONSORSHIP program on September 30th at The El Lazo Basketball Courts in Laguna Niguel from 2-6pm. Prizes and auction items will include Lakers tickets, vacations, hotel stays, and recreational supplies. All spectators/participants that register will automatically be entered in a raffle to win a pair of Lakers tickets versus the Timberwolves that night. The day’s activities will include a 3 versus 3 basketball tournament and three point shooting contest for all ages. Also, a free throw shooting contest for the children, auction, and other fun activities for the family. You can register online and find out more about this organization @ www.goplay.foundation or call them @ 949-275-8060.